Whether you’re part of a fleet or an average vehicle owner, we’re here to help. 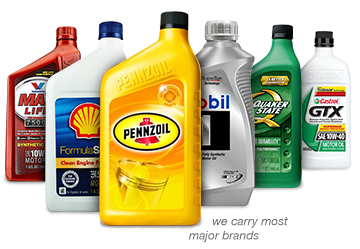 Full line of oil changes ranging from conventional to full synthetic. Prevents engine over-heating in hot weather and engine freezing in cold. Helps drivers steer vehicles by increasing steering effort of the steering wheel. Cleans, cools, and lubricates the transmission components and gears. Cleans air that the engine breathes by filtering out dirt and other contaminants. Cleans the fuel system resulting in improved fuel economy. Warren Universal Quick Lube 2151 12 Mile Rd. Detroit 8 Mile Brake and Lube 5210 E. 8 Mile Rd. Ferndale Ferndale Oil Change Center 651 E 9. Mile Rd. Eastpointe Eastpointe Oil Change Center 17830 E. 9 Mile Rd.